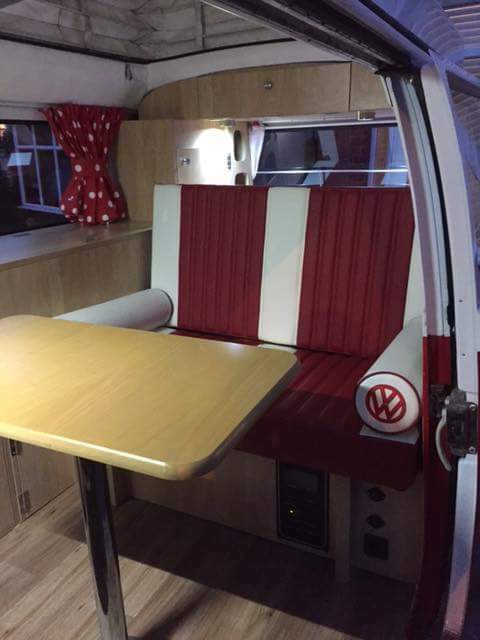 The beautiful Bella upholstered in off white and leatherette. 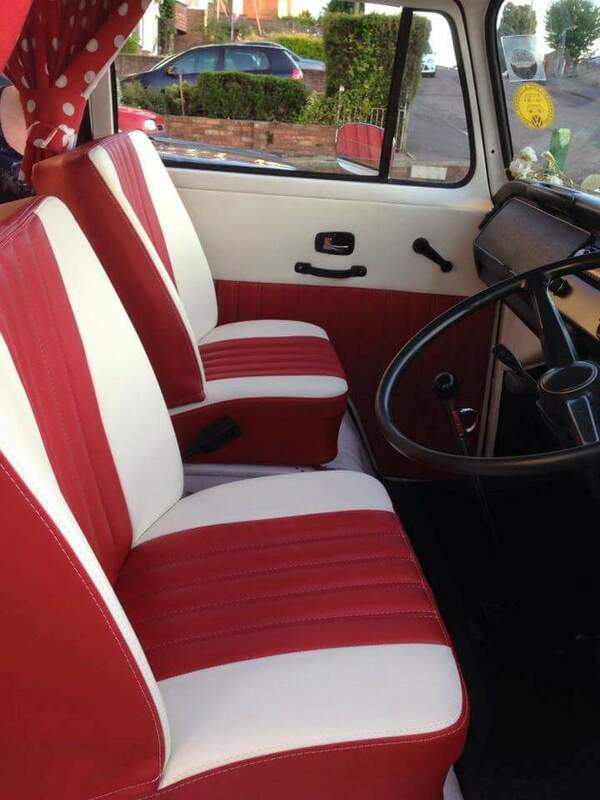 All the seats have double stitching. 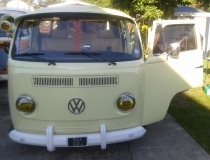 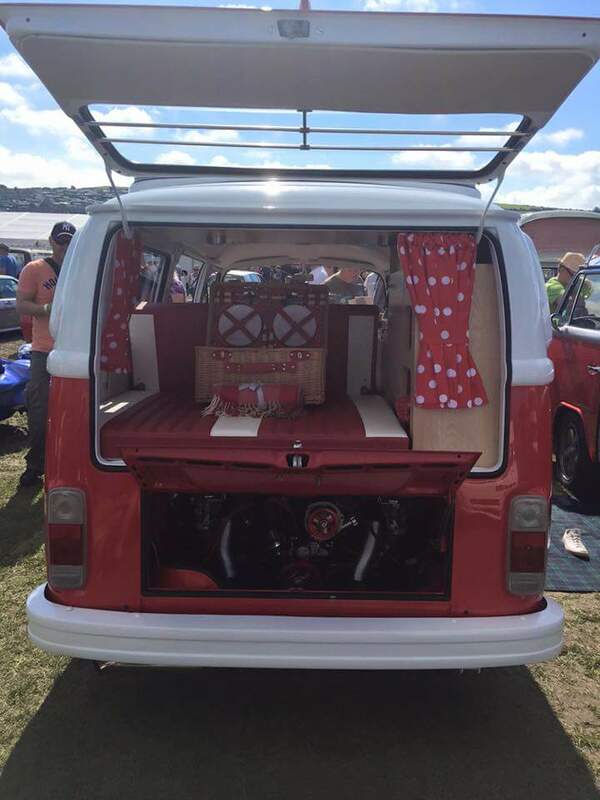 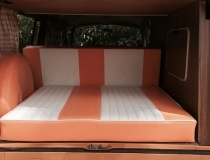 The van upholstery consist of matching front seats with R&R Bed and matching VW bolsters.